Having been in the family for generations, proprietor and CEO of Thompson Gas Randy Thompson grew up on this property, formerly a working farm. One day, while riding his tractor amongst the corn and hay crop he conceived the idea to take his love of wine and hospitality to the next level at this very location. He purchased the property from his father and conducted extensive soil testing. The results demonstrated the viability and potential of the site that’s ideally situated in the Pleasant Valley. He then invited established winemaker Dave Collins to join him at Big Cork. Together, they planted their first vines of Malbec in 2011 and Big Cork Vineyards became a reality. Big Cork Vineyards is an oasis away from the hustle and bustle of city life. 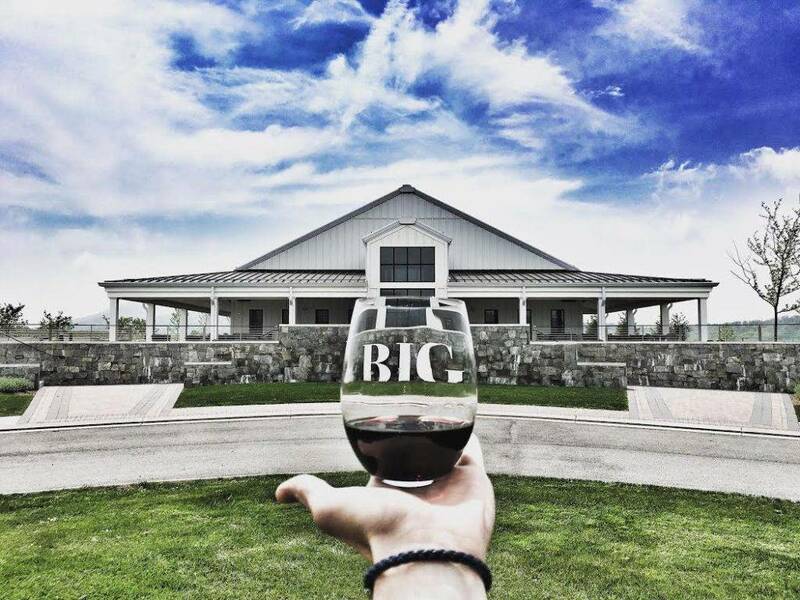 But a beautiful setting and facility are nothing without great wine, and even if you don’t take Maryland wine seriously, you can rest assured that the team at Big Cork Vineyards takes the quality of their wines very seriously. In fact, when I arrived at the winery the team had just returned from a trip to Italy a few days prior. The goal of their trip was to research different examples of Tuscan varieties to compare with their own efforts back home, as Nebbiolo is a specialty of Dave’s and they recently began experimenting with Vermentino – both staples of the region. Big Cork Vineyards Nebbiolo 2014: 100% estate-grown Nebbiolo, it sees 18 months in new and neutral French and American oak. Pours a vivid medium-ruby in the glass. Fragrant aromas of tart cherry and rose petal are underscored by tobacco, damp earth, smoke and subtle hints of leather. A juicy core of tart red fruit is framed by lively acids, taut finely-grained tannins and inflections of soil-laced minerality. This medium-bodied effort finishes with good length and persistence. Collins’ passion for and experience with this variety are clearly evident in this fine effort. Nebbiolo is the variety that provides the backbone for the celebrated wines of Barolo. 169 cases produced. 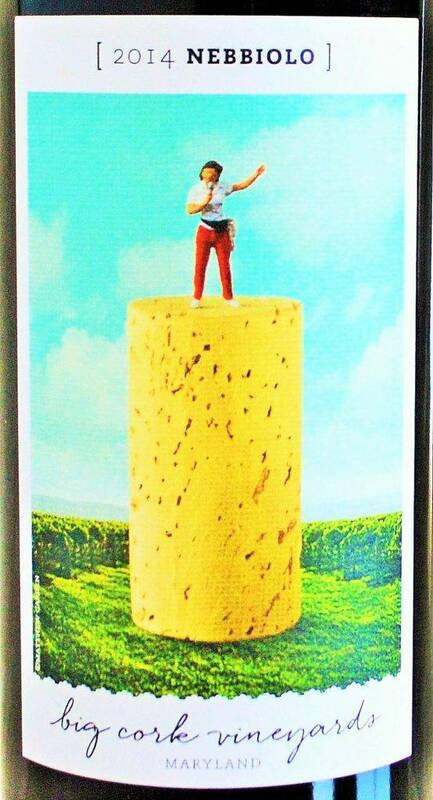 Big Cork Vineyards Cabernet Franc 2014: 100% estate-grown Cabernet Franc, aged 18 months in new and neutral French and American oak. Pours a medium brownish-ruby in the glass. 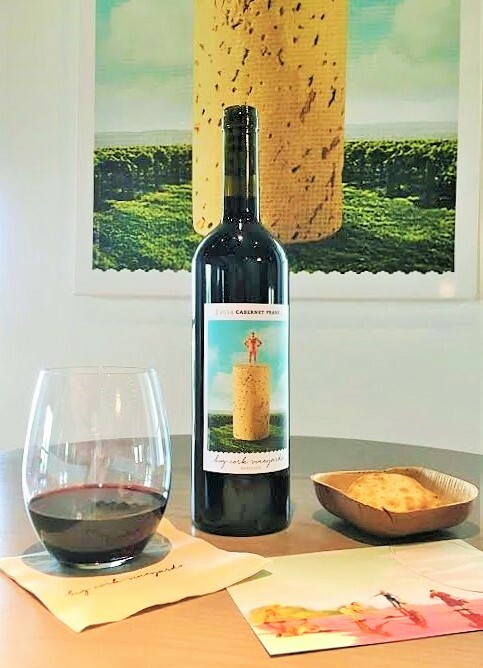 The nose is fragrant, nuanced and mineral-driven revealing aromas of black raspberry and plum underscored by green peppercorn, dried herbs, crushed rocks and star anise. On the palate, the fruit is bountiful yet restrained as black raspberry and plum flavors find themselves grounded alongside cocoa, menthol, and licorice nuances. The finish persists with lingering suggestions of wild herbs, assorted spices and cocoa bean. A distinctive crushed rock minerality and bright acids lend to the overall harmony and interest of this lovely Cabernet Franc. 281 cases produced. With noticeable strides in quality being made, the issue that Maryland and Virginia wineries will now struggle with the most is not producing a quality wine but producing one at a cost that is competitive with more established regions. 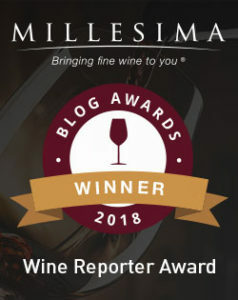 Thankfully the team at Big Cork Vineyards is very much in tune with these market forces, and have recently reduced prices on several wines throughout the portfolio to maintain their competitive edge and strengthen their own value proposition to consumers. 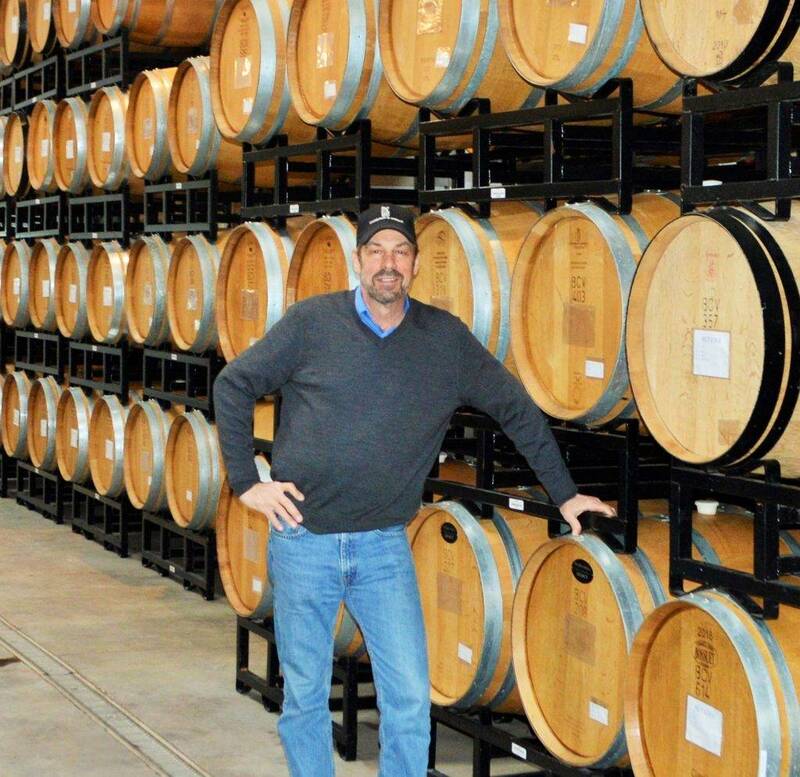 In the past, if I was talking about a Maryland winery, I felt like I often had to qualify it by saying that it was good, but often just good for being produced in Maryland. That is not the case here. 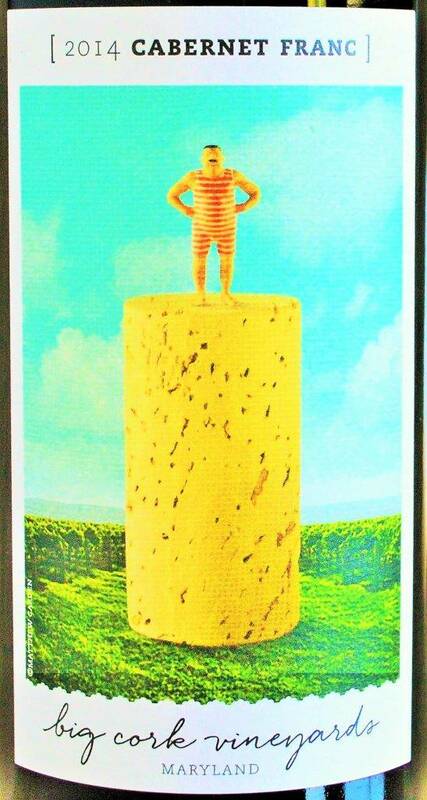 Big Cork isn’t just good for Maryland, it’s simply great by any standard. You could say I left the winery a BIG fan, and I think you will to. Tasting Fee: $10 for 6 wines. Included in the Tasting: A selection of six current release wines. Total Production: Approximately 5,000 cases annually. Appointment Required? No appointment required. Tastings are conducted Thursday through Monday, 11 am to 5 pm, Friday until 9 pm. Should You Go? 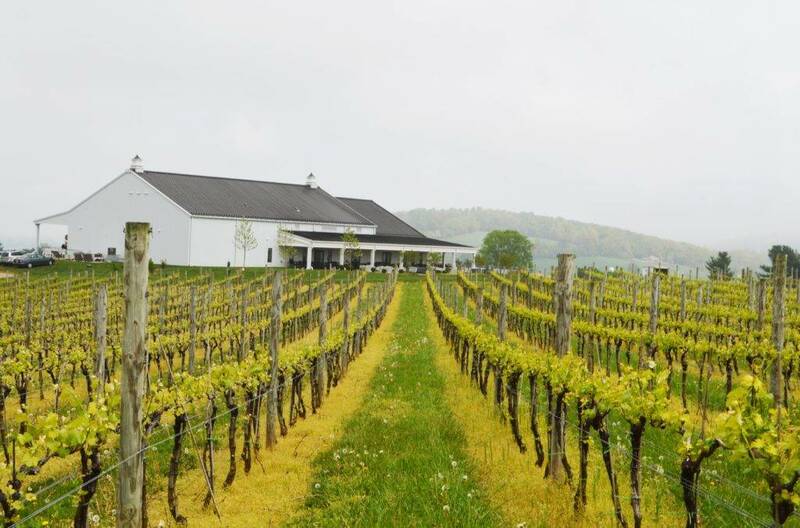 Big Cork Vineyards offers guests the opportunity to taste seriously good Maryland wines in a beautiful, bucolic setting that’s convenient to the DC metro area. The wines are also reasonably priced and visitors are invited to bring a picnic and enjoy a bottle of Big Cork wine on premises. Deserved. Next opportunity check out @Old Westminster Winery. Will do, Ed. Thanks for stopping by.